New book helps consumers understand the power of the FHA 203k Renovation Loan program to finance repairs and home improvements. National real estate and construction educators Dennis and Teresa Walsh share the opportunities, details and keys to success in leveraging this little known mortgage program for purchase or refinance. The FHA 203k Renovation Loan Program provides the funds for purchase or refinance along with renovation funds in a single loan! With more than 85 percent of the homes in America more than 20 years old, this unique program could help millions of home buyers and home owners make one of the best financial moves of their lives. 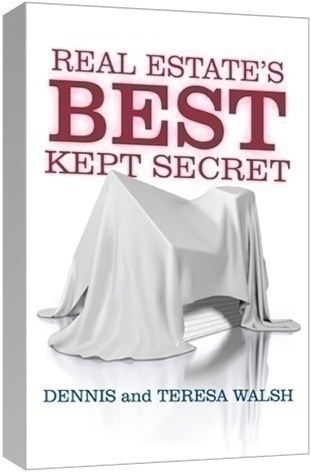 Real Estate’s Best Kept Secret was written specifically to help both consumers and real estate professionals understand the power of this amazing program, the opportunities it presents and how to make the most of it for their specific homeownership needs.